Glasgow-based Craigie Knowes are back with their annual fundraiser for War Child, this being their third year in a row contributing to the charity. 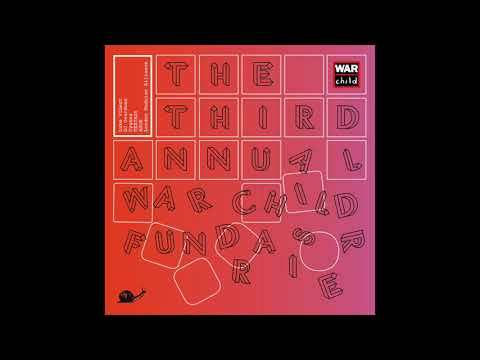 All profits derived from the sale of the two part compilation records will be donated to the foundation dedicated to supporting children and young people who are affected by war. As has become the norm for the Scottish staple, the releases will feature a variety of producers with a fairly diverse palette of sounds, from jungle to breaks to acid and beyond. Making an appearance on the first of the editions will will be Luke Vibert, DJ Overdose, Cynus, TEXTASY, ASOK and London Modular Alliance, who we have the pleasure of premiering today. Ruggamuffin from London Modular Alliance (soundcloud) is your prototypical jungle track throwing it back to the heyday of ragga as the track’s title not so subtly suggests. Chopped drum loops, breaks and snare rolls? Check. Classic reggae and dub instrumentation and vocal samples? Check. Bone shattering bass meant only for speakers capable of reproducing the lowest of frequencies? Check. This track clearly wasn’t made to reinvent the wheel but what it does is successfully builds on the existing (albeit classic) models and throws us on a bit of a nostalgia trip. Both London Modular Alliance and Craigie Knowes show once again that they’re not looking to label themselves as purveyors of any particular sound and are unafraid to colour outside the lines. Pre-order your copy and help out a good cause via your favourite online or local distributor.